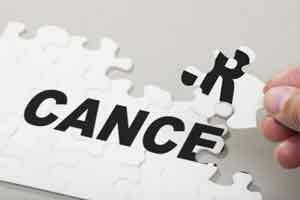 Chandigarh: An Indian origin doctor has suggested the Punjab government a new genome therapy for treatment of cancer patients in the state. The suggestion was made by Manoj K Bhasin, an Assistant Professor of Medicine at Harvard Medical School in the US, at a meeting with Chief Minister Amarinder Singh here, an official release said. Bhasin said the new therapy was based on sampling of genome taken from cancer patients and then characterise, store and sequence it to ascertain the nature and type of cancer. The therapy could eventually prove to be quite effective in cancer treatment, he said. Bhaisn also proposed collaboration between Harvard Medical School and the upcoming Tata Medical Centre at Medi City in Mullanpur, near New Chandigarh, for implementation of the genome therapy. The Chief Minister assured him of all support by his government to take the venture forward and directed the chief secretary to convene a meeting with Bhasin to chalk out a comprehensive plan for its implementation. Singh also asked the chief secretary to involve the state government Medical Colleges at Patiala, Faridkot and Amritsar, besides the Homi Bhabha Cancer Hospital at Sangrur and the Advanced Cancer Centre at Bathinda, for genome sampling. Singh told the chief secretary the departments of Health and Medical Education, and Health & Family Welfare should be involved in the programme to combat cancer, which was wreaking havoc on the lives of people in Punjab, especially in the southern parts of the state. The chief minister also gave in principle nod to Bhasins proposal of initiating a meditation and yoga programme for the drug addicts as a pilot project, an official spokesperson said.